Looking for high quality and affordable customer care for your next project? 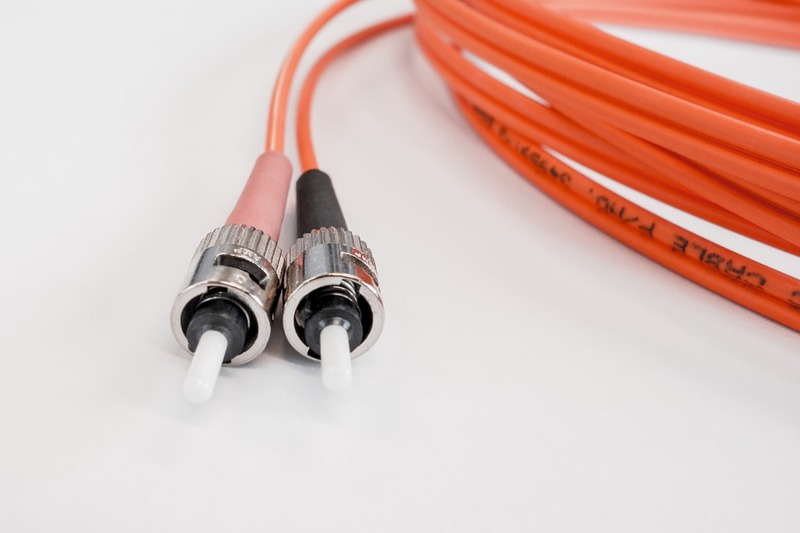 What's the Difference Between Fiber Optic Cabling and Others? Highly recommend!! I'm completely satisfied with their service! During scheduling of appointment, they listened carefully and asked good questions to the work I needed done and provided a detailed, over the phone, cost estimate. Technician arrived exactly on time, as had been scheduled, was very professional, and completed the job in less than two hours. I will certainly use them again. The work was done in a very professional and timely manner. We really appreciate their excellent work and highly recommend C.H. Tel, Inc. The two individuals Charlie sent over, so sorry I forgot their names, were very professional. They were responsive and listened, but did not squander time on their hourly rate. They took care of business in a very pleasant and professional way. As for Charlie, when the job was completed he not only sent us a handwritten note of thanks (which is such a nice and unexpected touch), but he also emailed us to ask if everything was to our standards. I would recommend them and definitely hire them again in the future. There was a time when you could get both the phone company and your computer’s service provider to come out and run wiring in your house for extra phone jacks or cable hook-ups. Those days are gone. And unless you want cable tacked to the outside of your house, there are not a lot of options available. CH Tel fills this need and does it well. In remodeling our kitchen, we needed a phone jack moved. 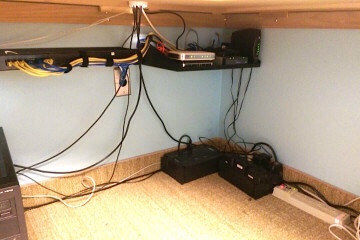 We also needed an additional cable hook-up in an upstairs bedroom. CH Tel sent two very competent and pleasant technicians out to make those two installations for us. The installation required them to run wiring from the attic to the upstairs bedroom as well as to the main level kitchen. It was time consuming and tedious work. But the technicians were very patient and did the job without tearing up the walls -- we didn’t even need paint touch-up. We are so pleased and very much recommend this company. We will call them in the future if we need additional work done. Fixed a telephone fax line which had to be rewired somewhat so it would work. The contractor left things in much better shape than I had asked. Quite pleased with the service. Rick and his crew showed up on time, and worked efficiently. They were flexible enough to retrieve small parts (power cords) that were not on the site, and they followed through all the way to ensuring that each TV had good signal. 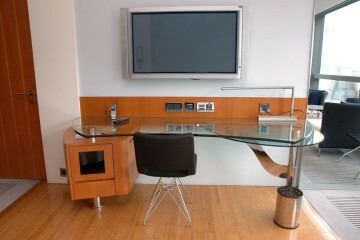 They spend five or more full days on-site, and even returned to follow up when one of the TVs arrived damaged. For seriously professional work at a good price (no surprises!) these are the guys. Our job was very small but Charlie made the effort to fit us in ASAP during a time slot that didn't require me to take leave from my part-time job. He was very clear and thorough explaining their policies, what the job would involve, and how much it would cost. The men who came to my house were polite and professional. Everything about the job happened the way Charlie said it would. An ideal experience. They were wonderful- from initial contact through to completion of the work. Would definitely use them again & we highly recommend them! They even sent us a handwritten thank you note- no kidding! Fixed data ports that were not working correctly. 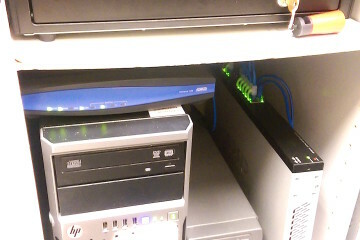 Identified problem, followed ethernet lines and hooked up to switch in network room. It went great, would highly recommend. This was a 4/5 stage process with other contractors in the middle. They immediately adjusted their scope of work to fit in with other trades which is why the process took place over 2-3 weeks. Charlie always kept in touch and his crew always let me know when they were coming. At one point I couldn't figure out who should do what and when and Charlie cleared it up for me and things proceeded in an orderly fashion. These days it's difficult to find a contractor who keeps in touch from beginning to end!! And, his pricing is more than fair. My experience was fabulous!! His crew was perfect! Terrific! Technician called Verizon on our behalf and resolved the issue. I think it went excellent. I would have them back in a heartbeat. They are very nice people and did a good job. Fantastic! It didn't dawn on me until about two weeks prior to our move that we needed someone to do our inside wiring and the first place I looked was Angie's List. CH-TEL was the first company I called. Charlie was friendly, pleasant and professional. He described what his company could do and we set up a time, based on what our phone provider was already scheduled to do, for CH-TEL to come out and work. The two men who came out were very polite, pleasant and professional, and didn't waste any time. It took four hours for them to do the job and when they left, the only way we knew they had been there was because there was an ethernet cable hanging from the data jack. I was very pleased with the work performed and I wouldn't hesitate to recommend CH-TEL. CH Tel's technician quickly assessed the situation and gave us a good options. With just one hole drilled, they were able to run a cable that tapped into an unused cable jack in one of our rooms. They were then able to use this as the access point to direct our XFinity internet service through to the panel in an interior closet where all the other cable/satellite TV jacks route through, so we didn't have to move the internet router. May sound a bit complicated, but it really wasn't, and kept us from having to create a whole separate panel or jack for our internet service, and kept the router on a shelf in the closet, rather than sitting out on a table or desk. All in all, service went well. We were pleased with their solution. No issues since they completed the work. Although my wi-fi works well for my computers, like many of others I have been very frustrated when attempting to stream Netflix on my televisions, so I was looking for a company to hard-wire my televisions to my internet. CH-TEL was very attentive, immediately responding to my email and providing me with service the next week. The two technicians came on time and completed their work in a timely fashion. They clearly explained to me what they were going to do and how much it would cost. They were polite and attentive. They got the job done quickly and now I am able to watch Netflix without interruption on my smart TV and on another television using Apple TV. I would definitely hire them again if I were to require their services. The utility room in our house looked like a bird's nest. Every time anyone did any work in that room, cables would get knocked around, something would fall to the ground and something would have to get rewired. When Cox Communications came in to install their services (internet, television and two phone lines), they made it worse by installing thin jumper cables making the eyesore unbearable and future troubleshooting and diagnostics time consuming and expensive. It was time to get things organized so we would know what we had, what we could make room for, and easily make changes as necessary. CH Tel didn't cut any corners. Perfectly on time, patient, knowledgeable, clean and friendly. The finished product is absolutely immaculate! Their follow through, professionalism and workmanship should be the bar for any successful business. Everyone should take a page out of their playbook. I called C H Tel. Co. and the owner, Charlie took the time to discuss with me our phone issue. When our phone stopped working, we had a service call from our telephone service provider who determined the issue was inside of the house. The phone company service men don't have the expertise to repair phone wiring issues inside of the home and, therefore, were of no help. Charlie sent a team from C H Tel. Co that arrived on time, identified the issue within 15 minutes and repaired it within an hour. We were very satisfied with their work and the overall service experience with C H Tel. Co..
Charlie Hertel responded very quickly to my request for an estimate, and sent his representatives to my home the same day I contacted him. After I received a detailed estimate via email, Charlie communicated with me via phone and email until we both agreed on a plan and a price that fit my needs and my budget; we scheduled the project. When bad weather threatened, Charlie contacted me in advance so we could reschedule. 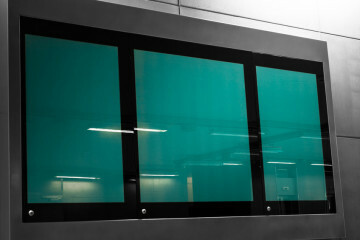 On the appointed day, technicians Rick and Ivo showed up on time and completed the job in one day, as planned. They ran new wiring for TV and ethernet in five rooms and revised three connections for the telephone land line in my 1980's ranch-style home. 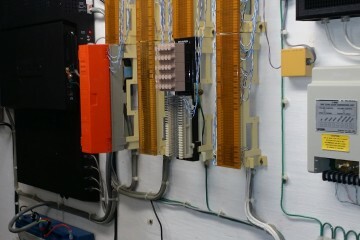 Now, each of the connections can be made at a neat wall jack and all of the wiring ends at an organized, labeled data center in the basement, right where the cable tv and phone service enters the house. Now my home is ready for anything! Work went great, scheduling was easy, even around the big snow storm we got. Very happy with the end result and the price. We had been given many different choices as to how to make our 4 line office into 6 line office. Charlie helped us through it, all while understanding we had a strict budget to keep in check. We will call him again for any other phone work needed or if we decide to upgrade to a newer phone system when money allows. . . Excellent work, great customer service. Will definitely recommend to others and use again. Quick, professional and tidy. The drywall guy I hired to patch the notches Rick made in the drywall to fish the cable was impressed with how small they were. Good work! Very pleasant and informative over the phone. We had two cable jacks/outlets in two recently remodeled rooms but weren't sure if they were connected. I had been putting off this project because I thought it would be a big, expensive deal with ripped up walls and stuff, and dreaded waiting for a Verizon repair person. It turned out to be much, much less painful than I thought! The two specialists who came tested the jacks and found they weren't connected. 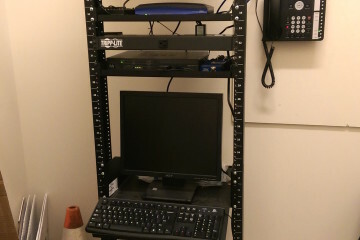 They promptly fixed the cabling so that both jacks were working, allowing us to move our router and (in the future) a TV. They set up the router in the new room and even helped me carry my PC and monitor from one room to the other. So glad we hired this company instead of trying to get Verizon to do this! 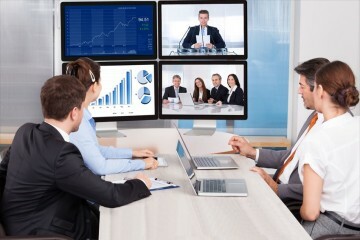 Great, guys showed up on time, worked with me on the price and ran the cable. Nice and polite. The only complaint I have is that they couldn't find a route inside the house and had to run outside. I later found one, but lets be honest, we are humans and miss things. You can't see the wire outside so overall it was a success. It all went extremely well. I called them because our home came with a prewired phone / internet system, not your standard set-up. The tech they sent out was experienced, professional, and efficient. He identified the problem, a "short" in some of the lines in the system. He rerouted the lines and fixed the problem. I give this company my highest recommendation. Their rates were very competitive. I had cable installed in a bedroom. 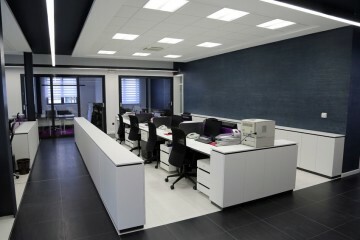 The guys were punctual and courteous and did a professional job with options to expand to other rooms in the future. I will use them again. We lost phone service in half of the house and could only call from a phone jack in the basement. 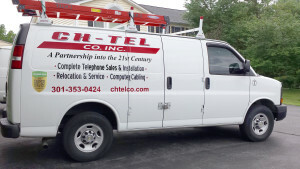 After trying unsuccessfully to fix the problem using the phone company, we decided to give CH Tel a call. They explained how they worked and scheduled a visit the same day. The first visit lasted about 1 1/2 hours and the problem seemed to be the wiring done for an addition built in the house about 8 years ago. A second visit had to be scheduled to check the circuits and find a way to reestablish the service. They came the second time, pinned down the problem and repaired the circuit. We really appreciate their efforts to find the times that could work for us, their fast response and punctuality, and their professionalism. We would definitely hire them again. The tv cable wiring for my house was all kinds of screwed up. My wife and I bought a historic home that was significantly renovated in the mid 2000's and looked like it was pre-wired for cable in all the rooms. However, it it turned out that none of the TV connections worked and the house did not have a central box where all the cables fed for cable company hook up. After having some general contractors look at the problem with no results, we called C H Tel. Co. The technicians came to my house to investigate what turned out to be a very unique and involved issue. Turns out, the people who originally wired the house for cable in 2005, wired the cables from one tv access point only to another tv access point without feeding all the cables to a central location. Without getting into the details, it was completely screwed up in a confusing way. Thankfully, I had called C H Tel. Co., who were able to figure out the issue (no small feat in itself), re-wire the house, and create a "central box," with minimal disruption to the home's walls and ceilings (to feed the cables through the home's walls). On a related note, months later when I was experiencing an issue with Comcast Cable service, Comcast said that there was likely an issue with the physical cable line. While working with Comcast to solve the problem on their end, I called up C H Tel. Co. to confirm that the cables they installed worked and were sending a strong signal through to one of the TVs. Standing behind their work, within two days, Charlie sent out the two technicians I originally had and they verified that nothing was amiss (1.5 hours) for no additional charge. Meanwhile, Comcast made some changes to my service and I've had no issue since then. So it does appear that issue was with Comcast and not the cable wire itself. Regardless, I appreciated having C H Tel. Co. come over to confirm that the wiring was ok (especially since it was during Thanksgiving week and I was having family over the holidays). This was the third visit CH-TEL made to our house. The first visit was to do an estimate to wire two rooms for TV by going through the ceilings beneath those rooms. We weren't sure we wanted to have to do that much work and the subsequent ceiling repair. They cheerfully returned on another day to look for an alternative wiring method (through the attic). The third visit was to do the work. It went quickly (2.5 hours) and only left the one small wall area for sanding and paint (which I will do myself). The new wall jack was mounted perfectly. The two techs also put up with my nervous dog with great patience and humor. We'll likely be using them again to wire another room, now that we know it can be done cleanly through the attic. Excellent service. I would refer this company to anyone who needs any cables pulled and terminals installed. 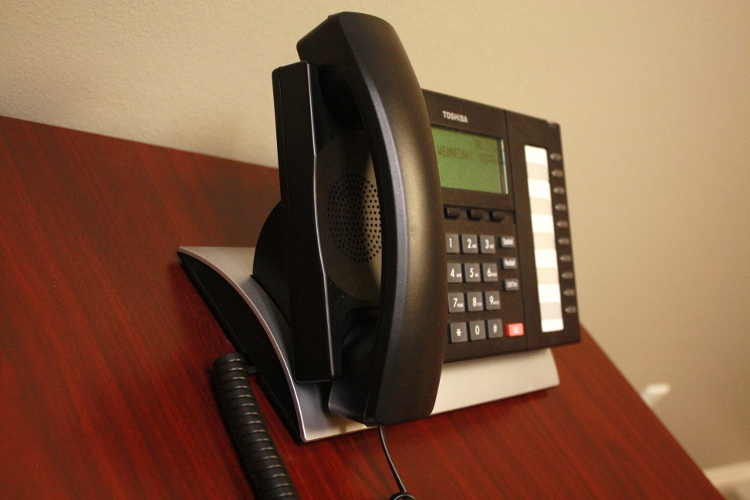 The phone conversation was very thorough and detailed and he explained their terms and pricing very well. We were lucky to have someone available in our area the next day, and the installer arrived, quoted us, and performed the labor in one afternoon. He was very interested in my concerns about how the cable was routed through the house, and I appreciate the extra care in making sure the job did not look sloppy. In addition, they were very diligent in cleaning up after the installation was complete. Fax move went great. Consultation with Charlie on a major phone outage was great. He took a number of calls from me for no charge and gave me as much guidance as he could given my situation. I was hoping he could help me, but for a variety of reasons, it had to be handled by someone else. I wouldn't hesitate to call Charlie and C H Tel in the future. I was very happy with this company. They were professional and did a great job! I would use their services again. Charlie handled the scheduling for Mike, the same technician who worked with us in the spring. This was particularly important because Verizon managed to handle BOTH work orders poorly: some of the business lines were on the residential work order, and vice versa. This meant that the process could NOT be completed properly when the Verizon techs were out to the building, but C H Tel was very easy to work with and made it painless (once Verizon figured out their issues). The principal of this company kept in phone contact with me periodically to let me know when the crew would arrive. They were able to be here earlier than anticipated, which was good for my schedule. I had cables coming out of the walls that I could not identify, and they were able to figure it all out They moved the wall jack to a new location, and reconnected the appropriate cables keeping them out of sight in the attic. I had one networking issue which was not the expertise of this company, but the technician tried to get it fixed anyway - he stuck with it for quite awhile, and had an excellent attitude throughout. The crew (of 2) was knowledgeable and worked quickly. The outcome was excellent. 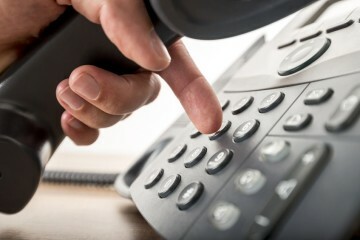 When we bought our townhouse in the Dupont Circle neighborhood, the seller hadn't had a land line phone recently and had never used Comcast's VOIP land line offering. There were phone jacks throughout the house, some old and some newer. 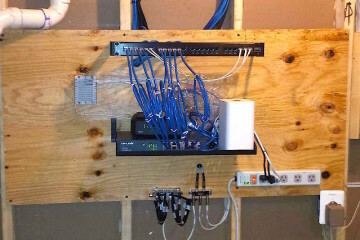 The new ones were intended to be "easy" to patch in using a patch panel in the garage, but few of the patch cords were labeled and almost none of them had plugs on the ends. Comcast came twice to figure all this out and failed utterly. I called CH-TEL and explained my predicament and was assured that their crew could figure it all out and get my phone jacks live. Well, that just what they came and did. Because the patch panel had only so much capacity, we had to choose a subset to enable. One by one the crew had to use a toner to locate the patch wire connected to that jack, and then terminate it with a plug and patch it in. Very tedious work, and it take time which translated into labor cost, but my chosen jacks all work and I couldn't be happier. The CH Tel representatives were punctual and professional. They made useful suggestions for installing a phone and cable jack in two locations in my home and I'm pleased with the final result. It was fantastic. The repair men were very friendly and the work was done quickly and correctly. Everything went fine. Charlie and company were very thorough over the phone explaining every aspect of the job. I had a very good idea of what they were going to do. I thought it was a bit pricey overall for what they actually did - but the service was outstanding and I felt very secure in their capability. Despite the price I would call again for service in the future - you get what you pay for and in this case I feel we received excellent/knowledgeable service. They did have to re-schedule once, but it was only a two-day slip so not really a big inconvenience. cutouts. Work was neat, timely and solved the problem (dropping channels on TV). I would recommend C H Tel. Co., Inc, without hesitation. We have an AT&T 'Spirit' phone system from when we moved into this house in the late '80s. One of the processor boards was damaged, and the door buzzers at all three of the doors would no longer ring the phones inside. They were able to find a vendor with the correct part to replace the non-functional unit, as well as repair that old part so that we have a spare on hand should anything go wrong in the future. In addition, C H Tel was able to find the up-to-date parts that we needed for our outside door buzzer/call boxes, install them, and coordinate their settings with the legacy hardware that is still perfectly functional. Their great work saved us a great deal of money by not having to replace the entire system. to know!). He has lived phones for a generation. He is knowledgeable, thoughtful, honest and exacting. The installers Rick and Mike were terrific as well. They were punctual, neat and very helpful regarding instructions for use. In addition to putting in their own system they removed the old one and did a remarkable job cleaning, identifying and labeling the old existing interwoven wires. Mike came back to install labels on each handset. He put in speed dial numbers for me. He was insistent that before he left I was sure that each handset was positioned to the most comfortable height given the varied uses in each room. I hope to never need another new phone system but if I did I would not hesitate to hire C H Tel again. C H Telco did excellent work for our small company. From the initial consultation to the actual wiring and installation to patiently instructing us how to operate our new phones, the owner and staff of C H Telco met every expectation. 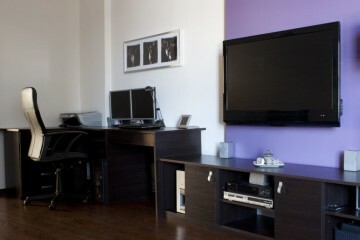 We never want to have the hassle of moving offices again, but if we to, we wouldn't hesitate to call on C H Telco. All of the work we needed done required meeting a tight time table. C H Telco met all of our deadlines. Great job!! I contacted Charlie when we first moved into our house in the middle of December. He was very prompt in setting up a time to come for an estimate (the first day we moved in). We wanted all the rooms done in our house and was given an estimate for six rooms for about $2600, which was way over our budget. Charlie was very flexible in adjusting estimates by articulating clearly which rooms were more challenging to lay cable and why the cost was greater in certain areas. We opted for 2 rooms, the most used rooms in our house, and the quote was around $1000. There was slight delay for the actual installation as a result of the holidays, but we were advised for a short term fix of just laying cable on the floor to connect to our FIOS box. Immediately after the holidays Charlie contacted us to start installation. Installation went incredibly smooth and there were only tiny notches created to lay the cable. The cable is completely behind the walls and looks fantastic. The actual work cost less than we anticipated, which was a great surprise. Charlie and his teammate Rick did a fantastic job and we were very happy. 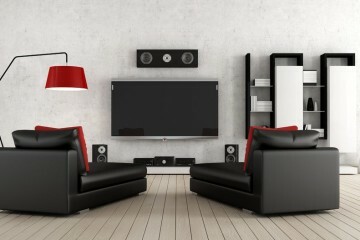 When our budget permits we will definitely plan on finishing the other rooms! Our promise is to deliver timely and professional low voltage cabling service that gets the job done right the first time.